"Experience an endless maze with Pac-Man!" Older players can enjoy the taste of nostalgia when playing with this game because the graphics are very close to the original versions developed in the 80s and 90s. 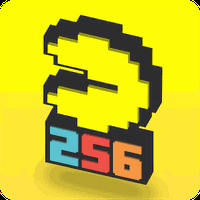 Game Goal: The simple and addictive gameplay that has won over several generations of players is given a makeover in PAC-MAN 256 Endless Maze, a fully adapted game for Android devices. How to Play: In an endless maze, you need to eat the PAC-DOTS. For 256 consumed dots, the player will receive a surprise. However, there is a gang of ghosts and the Glitch ready to prevent you from reaching your goal! Sound: The retro track is very similar to the sound in the 8-bit video games. Controls: To go through the mazes, escape the ghosts and gobble the power pills, simply select the desired direction by tapping the screen lightly. Languages: English and other languages. Content Classification: Free fun for users of all ages interested in arcade style games. Requirements: Android version 2.3.3 and higher. Useful Tips: Use the new powers to set off the ghosts. There are 15 different types of skills such as laser, tornado and many others! 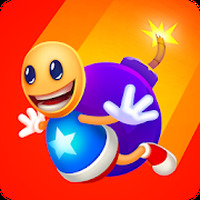 Developer: BANDAI NAMCO Entertainment Europe is based in Japan	- Reliable Android developer in the Android Community. Installation requirements: A minimum of 46M of free memory space and Android 4.0.3 or higher. 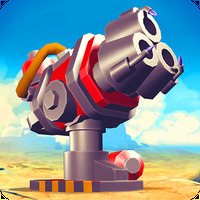 Ranking: The TOP 1 Most downloaded games in Maze Game category. Some devices can experience bugs. Do you like PAC-MAN 256 - Endless Maze? Good job, Namco and Hipster Whale! Great game Perfect in every way! Best Games of August 2016 like Riptide GP: Renegade &amp; Deus Ex Go! Best Puzzle Games for Android that will stretch your limits!